There is always room for oven in every family. It is no exaggeration to say that oven is a necessary cooking appliance for many people. With ovens nz, cooking for the family is no longer stressful but enjoyable. Still looking for the best freestanding oven online in New Zealand? Want to replace your old oven with a new one that performs better? 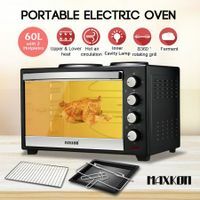 Whether you’re searching for freestanding ovens nz or electric wall ovens, BestDeals has stored a wide range of high quality convection ovens here. 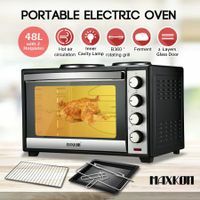 As major kitchen appliances, ovens can upgrade your kitchen with modern design and versatile cooking method, allowing you to bake, roast, boil, fry and so on. 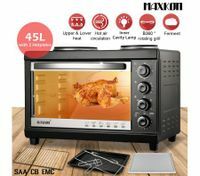 With an oven, the combination of airfryer nz, hot plate and toaster, you will enjoy entertaining cooking experience! 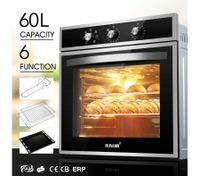 If you have a spacious kitchen and big family, you might consider a wall oven with a larger capacity up to 60L. Actually it is a space-saving option because it doesn’t occupy any space at countertop due to its built-in design. 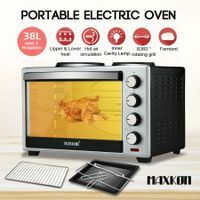 If you prefer traditional approach, our electric convection oven with twin hot plates & rotisserie might be your right choice. 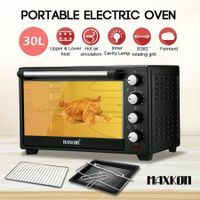 Once you have one of these small freestanding ovens nz at your fingertips, you will understand how convenient it is: it heats up faster than a large oven and there is less to clean. Great for cooking meals and snacks! 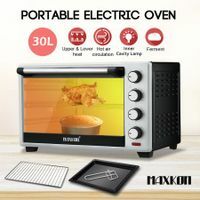 High quality appliance online at BestDeals are much more than just ovens nz, you’ll be able to find small kitchen appliances, heaters, vacuum cleaners and more at best prices here. 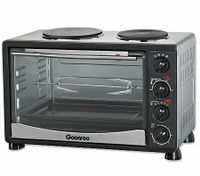 Grab one versatile oven to prepare sumptuous feast for your family and friends. 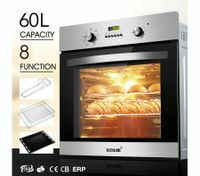 Moreover, you don't have to worry about the quality and safety problem because our ovens are coming from reliable brands and manufacturers that make sure every material and process are under strict control. Please believe that our products will never disappoint you. Come on and place an order right now.